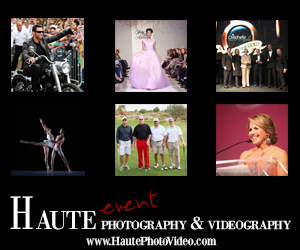 A regular visitor to the Valley, couture designer Zang Toi, known for creating clothing that is sophisticated, elegant and timelessly beautiful, was back in Phoenix to present his fall 2018 collection at Saks Fifth Avenue at Biltmore Fashion Park. The designer did not limit his visit to the luxury department store. On March 26, he paid a memorable visit to Arizona State University’s Herberger Institute for Design and the Arts. 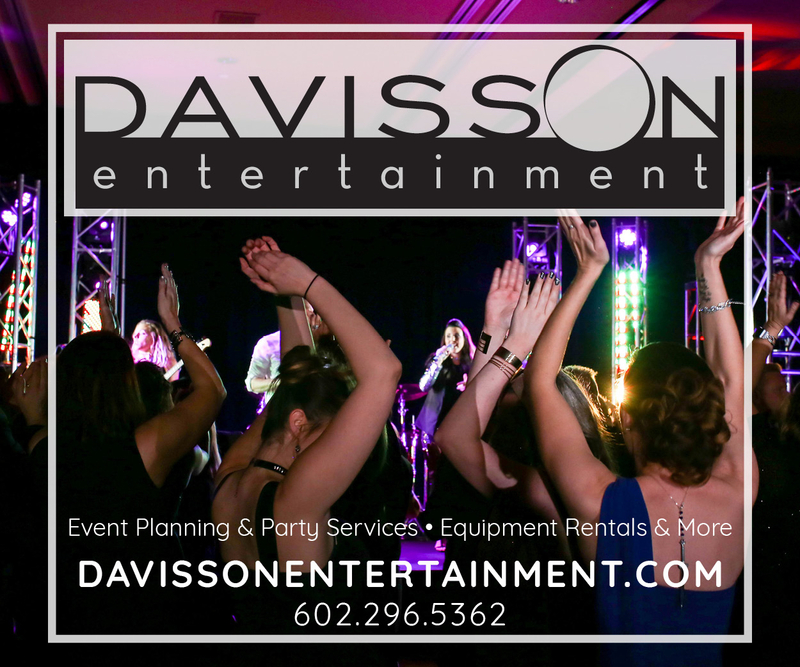 The event, which took place at the Tempe Center Fashion Studio, was hosted by Dennita Sewell and the Arizona Costume Institute, the support group of the Phoenix Art Museum Fashion Design department. In addition to her position as The Jacquie Dorrance Curator of Fashion Design at Phoenix Art Museum, Sewell now leads the new fashion program in the School of Art at ASU’s Herberger Institute for Design and the Arts. Fashion students and ACI benefactors enjoyed a lively afternoon that started with remarks by Dean Steven Tepper and Dr. Joanna Grabski, director and professor at the School of Art. The event also included a presentation of sustainability-inspired designs from students in the program’s Fashion Construction II class, led by Galina Mihaleva, visiting fashion professor and designer. Students were tasked with creating “upcycling” styles with denim material purchased from secondhand clothing stores. The afternoon ended with Toi and Sewell in conversation. 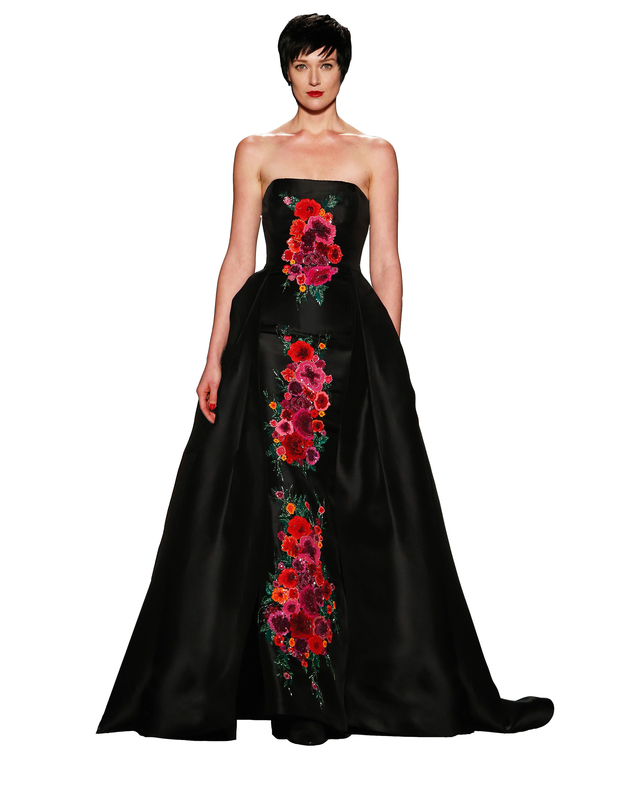 Specially for the event, Saks Fifth Avenue provided four gowns illustrating the designer’s fall 2018 collection. Toi is known for presenting travel-inspired collections. His recent trip to Italy was so inspiring that he decided to use the ultimate Roman city – Rome – as the theme for his fall 2018 show. The designer’s palette is mostly gray scale, ranging from gray to charcoal, with hints of bright orange, hot pink and intense red. Toi could have not done a Rome-inspired collection without paying tribute to the haute couture master Valentino. “Valentino is known for his red gown in every collection so I decided to do one red gown as a tribute to Valentino,” says Toi. This gown is the silk ottoman one-shoulder side-slit gown that was on display. The hot pink and orange gowns also displayed at the occasion have to be considered as an homage to Toi’s very first feature in Vogue’s March 1990 issue. “I was very fortunate to be chosen by Anna Wintour as emerging designer 28 years ago. Being featured in Vogue definitely put me on the fashion map,” says Toi. Details are everything. Each piece that comes out of the House of Toi is custom-made, hand-stitched and crafted with the most luxurious fabrics. The silk used for this collection – the best available on the market – is manufactured near Lake Como in Italy. The dainty bead work is done by the most delicate hands in India and represents hundreds of hours of skilled labor. Here are the gowns the guests had the opportunity to see up close. Haute red couture silk ottoman side-slit gown with assumption draped shoulder straps and trails lined with hot pink silk satin, Zang Toi, fall 2018. A tribute to fashion designer Valentino. 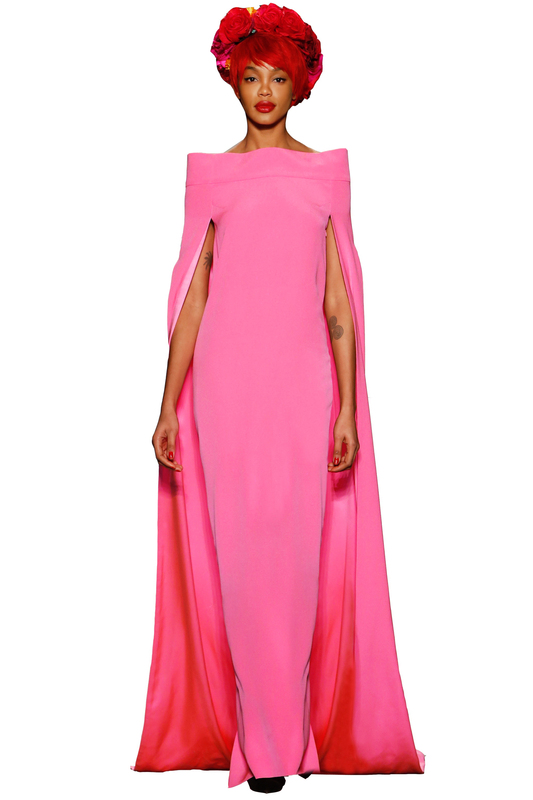 Hot pink silk crepe framed-neckline column gown with dramatic cape lined in silk satin. An homage to Toi’s first feature in Vogue’s March 1990 issue. 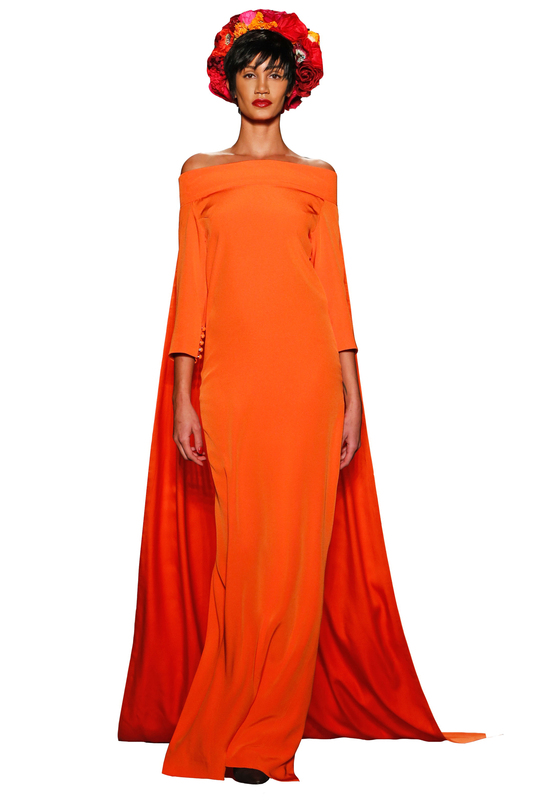 Haute orange silk crepe framed-neckline column gown with regal train lined in silk satin, Zang Toi, fall 2018.